Entomology's Most Wanted--the work of Nicholas Herold and Emily Bzydk, then graduate students at UC Davis. If you're trying to fuse art with science and want to draw a wasp on a penny-farthing, but the legs are too short to reach the pedals, there's only one thing to do: lengthen the legs! And create a "new species" of wasp in the process. A penny-farthing, as the UC Davis community knows, is also called a high wheel bicycle or high wheeler. The front wheel is much larger than the rear wheel. And a wasp, as entomologists know, belongs to the order Hymenoptera, which includes bees, ants and wasps. The end result of the art/science fusion project: the winning entry in the annual T-shirt contest sponsored by the Entomology Graduate Students' Association, UC Davis Department of Entomology and Nematology. An entomologist's view of The Beatles--this one is appropriately titled "The Beetles." The t-shirt, now available to the public, first went on sale at the Entomological Society of America meeting Nov. 15-18 in Minneapolis. In the Godfrey lab, Rice doesn't work with wasps. She does research on Bagrada bugs (Bagrada hilaris), an invasive stink bug from Africa known for attacking cole crops, including broccoli, cabbage, collards, Brussels sprouts, cauliflower, kale, and mustard. An alumnus of UC Davis, Rice received her bachelor's degree in biological sciences with a minor in veterinary entomology in March 2015. Her goal is to attend graduate school and receive her doctorate, either in integrated pest management (IPM) or forensic entomology. A honey of a t-shirt. This one is by Danny Klittich, doctoral candidate in the Michael Parrella lab. 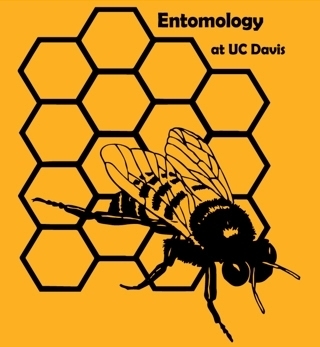 She became interested in both IPM and forensic entomology after enrolling in a “behavioral ecology of insects” course taught by Edwin Lewis, associate dean for agricultural sciences in the College of Agricultural and Environmental Sciences, and professor, UC Davis Department of Entomology and Nematology. Rice, who grew up in Roseville and graduated from Oakmont High School, enjoys combining art with science in her ceramic art classes at the UC Davis Crafts Center. EGSA has launched an online store to sell the newly designed shirt and other favorites. More information is available from Preto at crpreto@ucdavis.edu. All proceeds benefit EGSA. 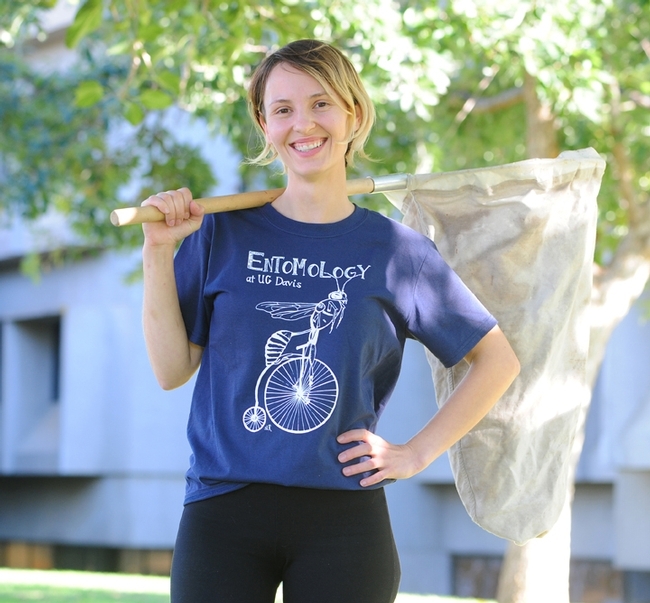 The "Hymenoptera on Bicycle" t-shirt can be ordered in unisex heather navy with white lettering ($15 for small, medium, large, extra large and 2x); youth navy with white lettering ($15 for small, medium and large); and women's cut, heather red with light yellow lettering ($17 for small, medium and large). 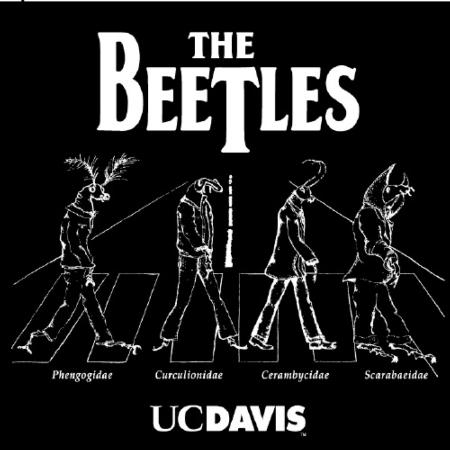 The t-shirts from years past include "The Beetles" (reminiscent of The Beatles' Abbey Road album), a weevil (See no weevil, hear no weevil, speak no weevil), a dung beetle, honey bee and comb, and a "wanna bee." 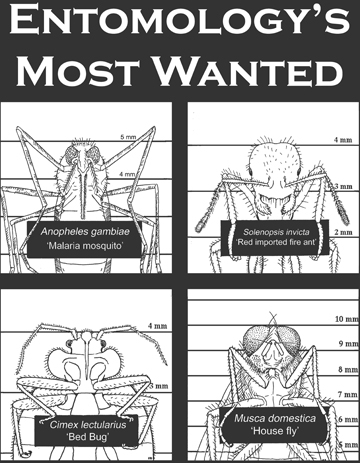 Among the other favorites is "Entomology's Most Wanted." Former graduate students Nicholas Herold and Emily Bzydk featured "bug shots" (a take-off of "mug shots") of the malaria mosquito (Anopheles gambiae), the red imported fire ant (Solenopsis invicta) bed bug, (Cimex lecturalius), and the housefly (Musca domestica). They're among the most hated of insects. The wasp on a wheel is probably destined to become a favorite, too, especially among the bicycling and insect science communities. That's how we roll at UC Davis! Where can we get these very cool shirts ?